New Sheffield Wednesday signing Fernando Forestieri will become a "very important" player for the club, boss Carlos Carvalhal has predicted. Attacking midfielder Forestieri, 25, joined the Owls in a deal worth £3m from Watford in August after a potential move to Leeds fell through. "It wasn't easy to bring him in but he has quality and I'm very happy," Carvalhal told BBC Radio Sheffield. "He will become a very important player for us." 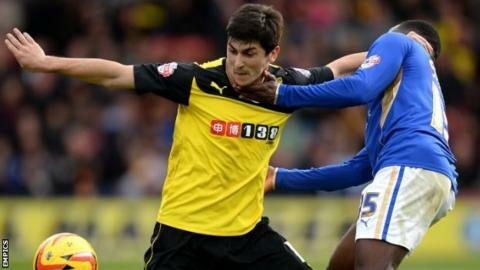 Forestieri, who represented Italy at youth levels, helped Watford win promotion to the Premier League last season but did not feature in a top-flight game before his move to Hillsborough. The Owls are 15th in the Championship but Carvalhal believes Forestieri will boost his side's attacking threat. "Since the beginning of the season we have missed a player in the second line of midfield playing near the striker," added Carvalhal. "But Forestieri will give us more quality in attack because we now have a connection between midfield and attack."